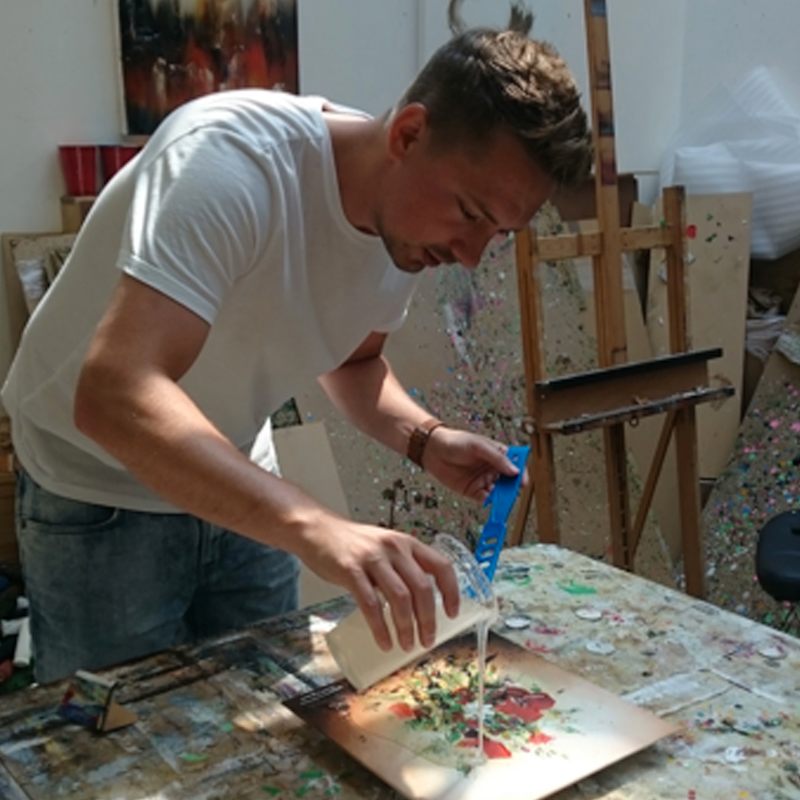 Critically acclaimed artist Stephen Simpson will be making a guest appearance at Castle Fine Art this month to unveil Efflorescence, a newly curated exhibition of his striking work. Born in Stockton-On-Tees, the abstract painter will be making the appearance on Saturday 22nd April between 1pm – 4pm. His exhibition will then be available to view for a further week. Stephen’s work draws inspiration from the elemental aspects of nature. Using a truly unique method, his expert use of heavy texture blurs the boundary between 2D and 3D sculpture, resulting in a collection of art that presents an almost ethereal depiction of light, colour and energy. The signature high gloss coat that Stephen adds to his pieces make them dazzle spectacularly in the light. Drawn to art from an early age, Stephen studied Fine Art before accepting an internship and then a full-time position at Christie's. Four years at the world's leading auction house provided him with an opportunity to see some treasured works of art and to work with leading specialists in the art world, broadening his knowledge and inspiring him greatly.